Home / SHOP / Limited edition prints / Looking sharp! 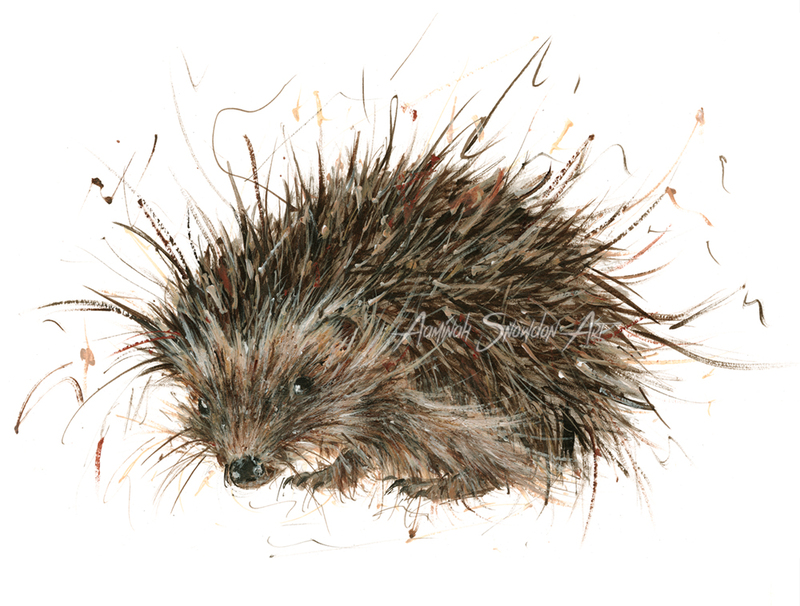 For every print sold, money is donated to The Wildlife Haven in Thirsk, North Yorkshire, a family run rescue for sick and injured animals. Click here for more details. When a 30.5 x 44.5cm print size ‘Looking sharp’ print is sold, £30 is donated to this charity. To keep track of donations, please click here . Limited to 495 fine art limited edition prints. Printed on 310gsm velvet, fine, acid free art paper using archival, pigmented inks. These mounted prints are made from the finest materials available which will ensure long lasting beauty and will protect your investment in fine art. Aaminah personally ensures that all prints are meticulously matched to the original painting to attain a print that faithfully captures the essence of the original.